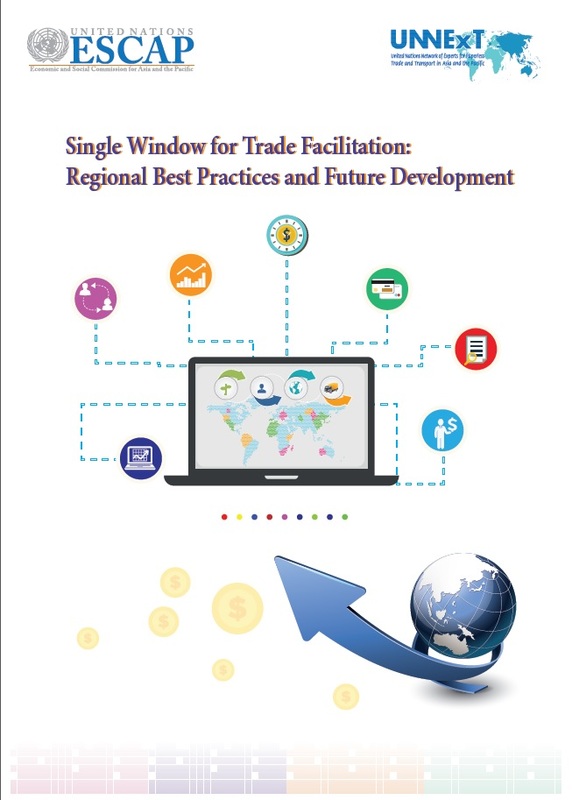 Single Window (SW) generally refers to an electronic facility that allows parties involved in international trade and transport to submit all information needed to fulfil trade-related regulatory requirements at once and at a single-entry point. This digital trade facilitation measure aims at reducing the regulatory burden for traders when completing import, export and transit-related procedures. It has emerged more than a decade ago and has become a core component of trade facilitation reforms. The World Trade Organization (WTO) Trade Facilitation Agreement, which entered into force in February 2017, has dedicated provisions on SW. The Asia-Pacific region is home to several world-class SW implementation cases, many of which have been operational for many years. Following a review of the implementation of SW in Asia and the Pacific, this study provides updated and detailed analysis of four “best practice” SW cases, which may be benchmarked by other SW implementers. Furthermore, the study also tries to identify user requirements in further advancing operation and services of SWs, based on analysis of a public and private sector stakeholders survey in the Republic of Korea. Chapter 1 presents the overall implementation of SW in Asia and the Pacific. Of forty-six (46) countries examined in Asia and the Pacific, 10 ESCAP member States (31.61%) were found running fully or partially developed SW systems. About 60% of the SW in operations are public facilities funded through grants, while 40% are established as public-private partnerships and at least partly funded through by commercial entities. The existence of regional initiatives promoting SWs appear to have played an important role in building the necessary political support and policy environment for SW at the national level, as demonstrated in the case of the Association of Southeast Asian Nations (ASEAN) Single Window. Chapter 2 analyses four selected best practice cases of Single Windows, namely the Hong Kong, China SW; the Japan SW, the Republic of Korea SW and the Singapore SW. The evolution of each SW in terms of institutional arrangement, funding sources and services offered, as well as implementation issues and challenges are reviewed, along with future development plans. Key features and characteristics of modern SW identified in the chapter include: Single entry and submission of information; Paperless environment; Standardized documents and data; Information sharing; Centralised risk management; Coordination of agencies and stakeholders; Analytical capability; and Electronic payment. Based on the analysis of the best practice SW cases and the findings from a survey of SW stakeholders from both public and private sectors in the Republic of Korea in Chapter 3, a number of key recommendations emerge for SW implementers in the region, including: (1) Actively engage private sector in optimizing operation of SWs and to make them sustainable, (2) Make use of regional institutional mechanisms and initiatives to build political will and technical and legal capacity for SW, (3) Consider how the SW will integrate B2B services into its original B2G design, (4) Enable SWs to exchange and process cross-border trade data and documents, (5) Cooperate in the development of legal and technical solutions for cross-border paperless data exchange , and (6) Plan for continuous improvement in the operation and delivery of services through SWs.